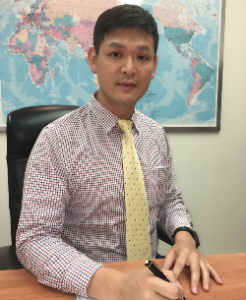 Luca Fu is Managing Director of YFG Shopping Centres Pty Ltd, Australia’s largest privately owned shopping centre portfolio, and has forged a successful career in property development and management since migrating to Australia from Taiwan in 1991. Luca oversees a portfolio with an asset value in excess of $2 billion, more than 1,600 retailers and annual customer traffic of over 80 million visitors. A committed philanthropist, he is a significant contributor to numerous community organisations as well as a benefactor of health, education, heritage and the arts. Long-term benefaction relationships include more than 20 years supporting RBWH Foundation and Mater Foundation. He is a founding benefactor of the Sister Angela Mary Legacy Fund with the Mater Foundation, benefactor of the Brisbane City Hall restoration, a proud sponsor of the Out of the Box Festival at QPAC, and has been supporting the Buddha Birth Day Festival at South Bank since its inception more than 20 years ago.